There's always something special about a combination of things coming together perfectly when in any other circumstance, they might not fit. The Charger is that perfect combination as it adds sedan features with a muscle car heart. No other car on the market today can give you these two features, and that alone should give you pause to give this car another look. There are a few changes to the 2019 model, including a revised trim lineup, a change to feature availability, and a few new tweaks to the exterior and interior styling. 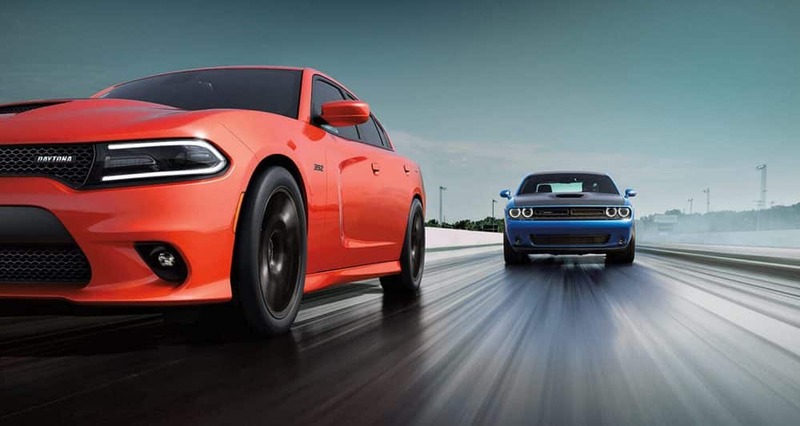 Everything else stays the same, and you'll still be able to choose powerful V8 engines, including the Hellcat's engine which pumps out 707 horsepower. 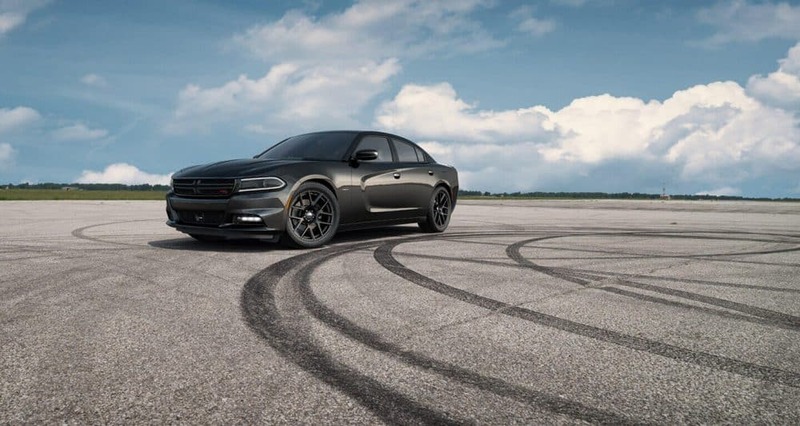 Every Charger is crafted with the very best materials available, and you can count on this sedan muscle car to give you the fun you're looking for in a car. Keep reading to learn more! What safety features come with the Charger? While design and power rightfully take the spotlight in the Charger, and rightfully so, safety is just as prominent and important. 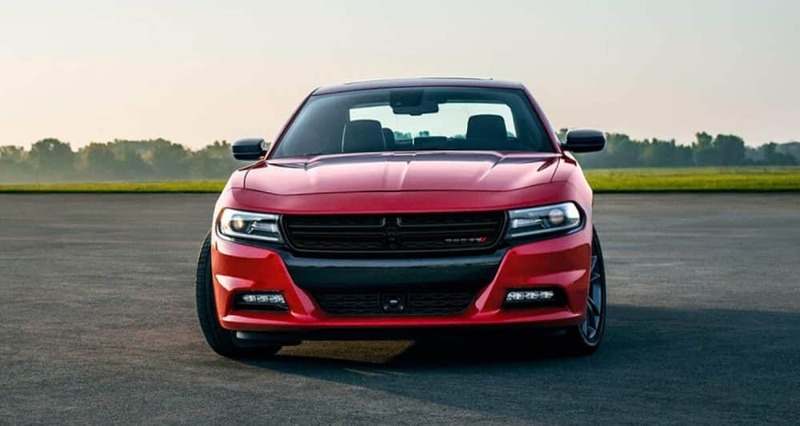 In fact, Dodge has created the Charger with a solid safety frame made out of high-strength steel, which helps to enhance the side guard door beams, active front head restraints, and standard airbags throughout. Other available safety features include hill start assist, all-speed traction control, full-speed collision warning with active braking system, ready alert braking, rain brake support, a ParkView rear back-up camera, LaneSense lane departure warning with lane keep assist, full-speed forward collision warning with active braking, blind-spot monitoring with rear cross path detection, and automatic high-beam headlamps. What standard features come with the Charger? 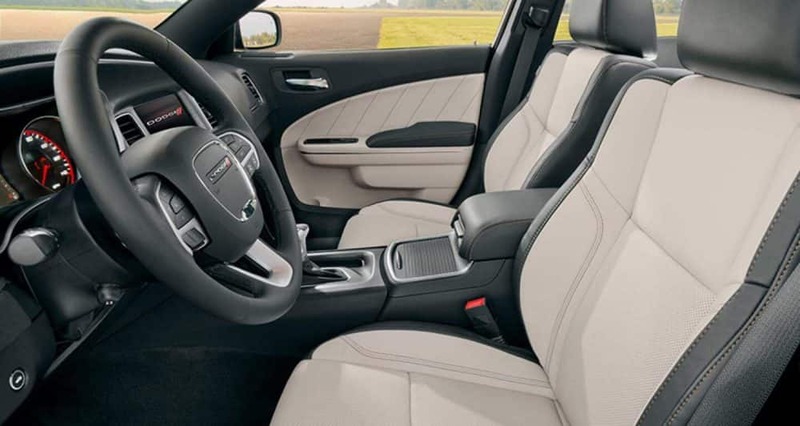 One of the biggest perks about the 2019 Charger, besides the obvious style, are the five main trims levels that you get to choose from. This means that you get to choose the right amount of power for your life. 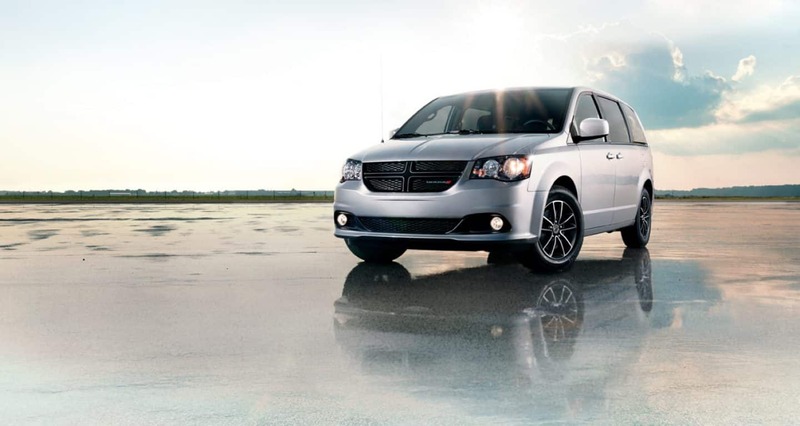 The base model, called the SXT, comes with features like a 60/40-split folding back seat, 17-inch alloy wheels, rear parking sensors, a power-adjustable driver's seat, keyless entry and ignition, and a rearview camera. 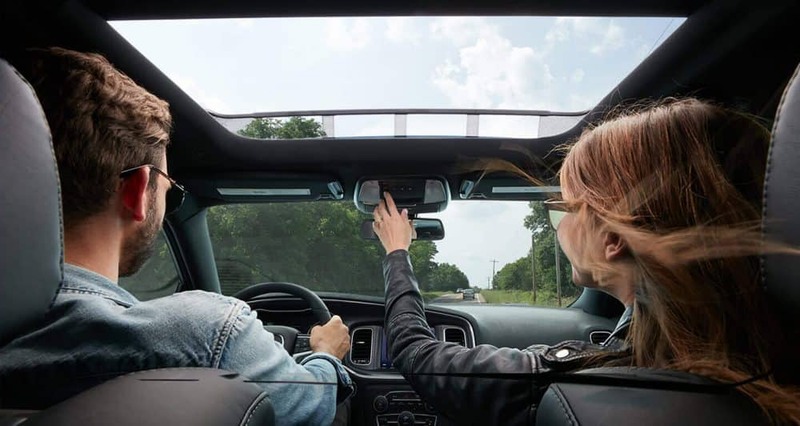 There are also tech features that you can find, like Apple CarPlay and Android Auto, satellite radio, a 7-inch touchscreen, a six-speaker sound system, dual USB ports, and Bluetooth. 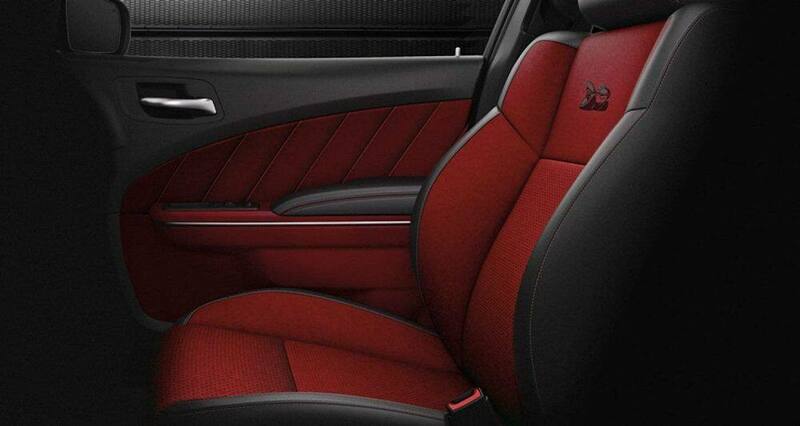 Many of the trim levels come not only with these standard features, but a variety of different packages. 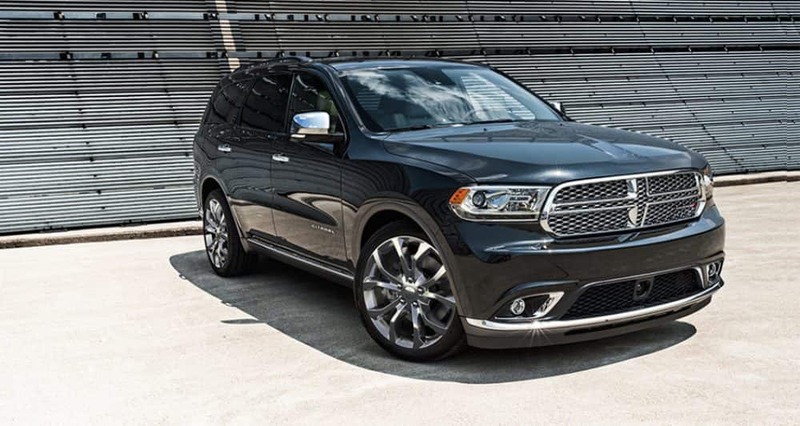 Those packages include features like heated rear seats, leather upholstery, xenon headlights, heated and ventilated front seats, a power-adjustable steering wheel, a panoramic sunroof, an upgraded suspension, upgraded tires, and a Harman Kardon sound system. If you're looking for additional safety, consider adding the Technology Group package, which adds the latest in driver assistance features. What is the engine lineup for this sedan? 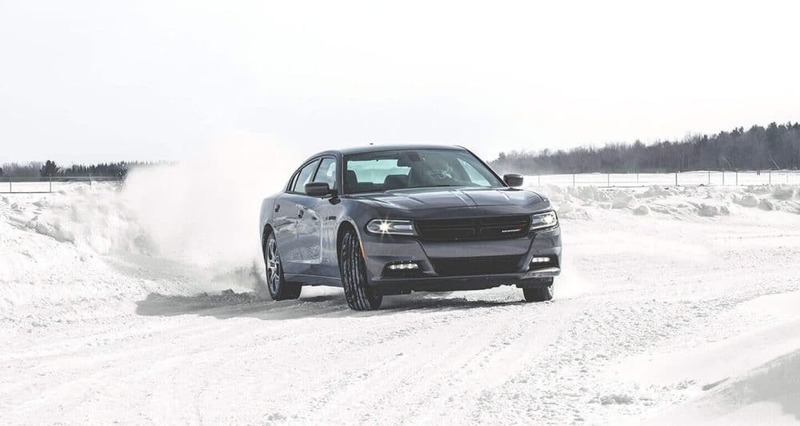 Power is the true star of the 2019 Charger, and the engine lineup is truly something to behold. 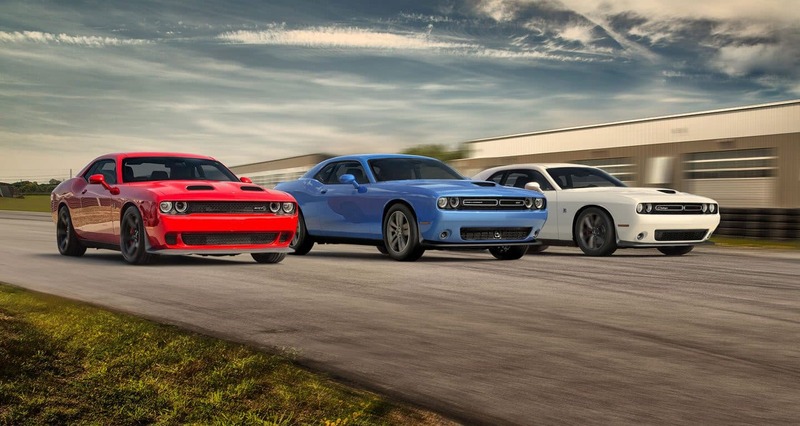 This lineup starts with the always reliable 3.6-liter V6, which can generate around 260 lb-ft of torque and 292 hp. This same engine, in the SXT AWD or GT trims, gets a power increase to 264 lb-ft of torque and 300 hp. Once we get to the V8 engine options, the power goes through the roof. First up is the 5.7-liter V8, which creates 395 lb-ft of torque and 370 horsepower. The next engine is a 6.4-liter V8, which can produce up to 475 lb-ft of torque and 485 hp. 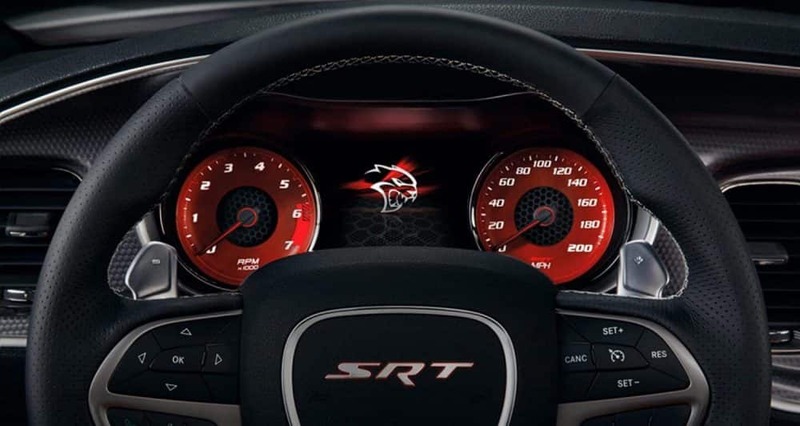 The most powerful engine, coming with the SRT Hellcat, is a supercharged 6.2-liter V8. This engine generates 650 lb-ft of torque and 707 horsepower. All of these engines work in tandem with an 8-speed automatic transmission. The Charger is the perfect combination of a sedan and a muscle car. No other vehicle on the market combines such different aspects so seamlessly. 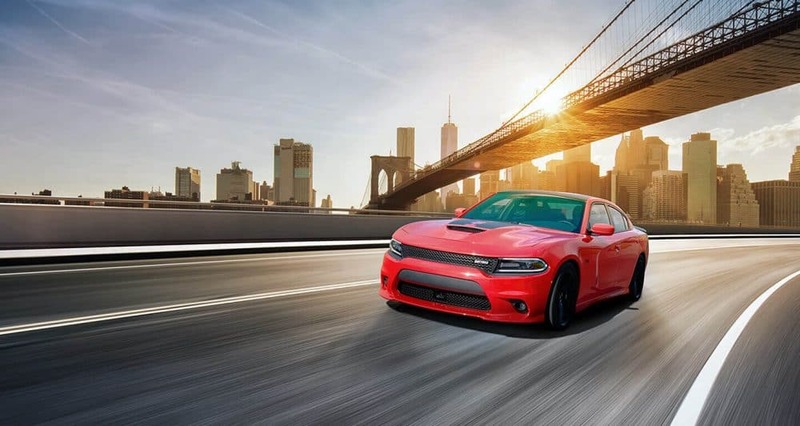 Test drive a 2019 Charger today by setting up an appointment, or just call us to ask any further questions you might have about our available inventory!